GSX1100S - ADVENTURE AND SPORT TOURING - MOTORCYCLE - SUZUKI MOTOR - Magyar Suzuki Zrt. 1/12 die cast scale model of GSX1100S (KATANA). The features are detail parts such as movable suspension, metal brake discs, instrumental panel, which is truly based on the real bike, and massive premium quality which is unique to the die-cast material. 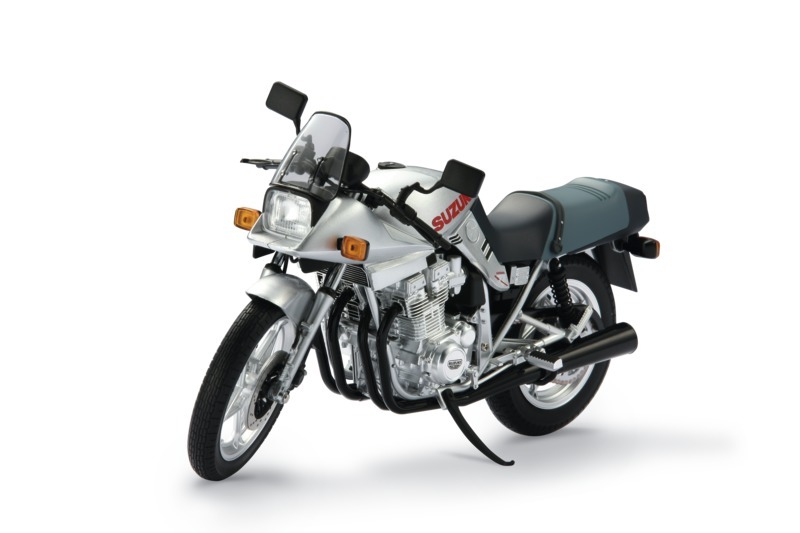 The model is based on the GSX1100SM (1990) Anniversary model.